Slight but substantial. The delicate legs, tapered on two sides, are a classic look. The design, however, uses unique and contemporary elements that are one-of-a-kind. For starters, the legs sit proud of the top just slightly. The inset veneered walnut top, contrasted with the white oak frame, provides a beautiful writing surface, surrounded by an inlaid border of walnut and oak to create a visual boundary between the two components and provide a precise fit. 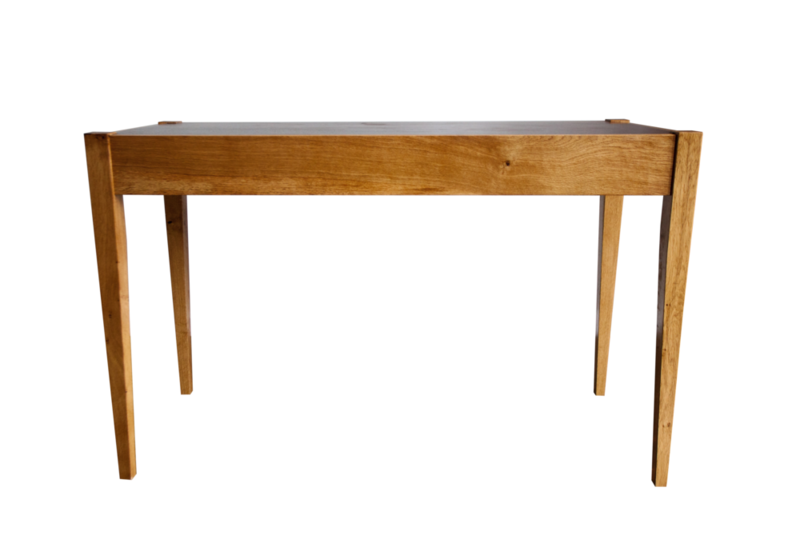 This desk is both a tool for productivity and a sophisticated design piece. The desk is 48 inches wide by 18 inches deep and 30 inches tall. It can be made in custom sizes and with varying wood species. Please inquire about custom orders.